The Reserve Bank of India on December 19, 2017, issued a notification directing all financial creditors to submit financial information and information relating to assets in relation to which any security interest has been created to the National E-Governance Services Ltd (NeSL), which is India’s first registered information utility (IU). This article aims to address the fundamental concepts and issues surrounding IUs and to provide insights into how financial creditors can comply with this RBI notification. In May 2016, the Government of India enacted its first consolidated law on insolvency and bankruptcy, i.e. 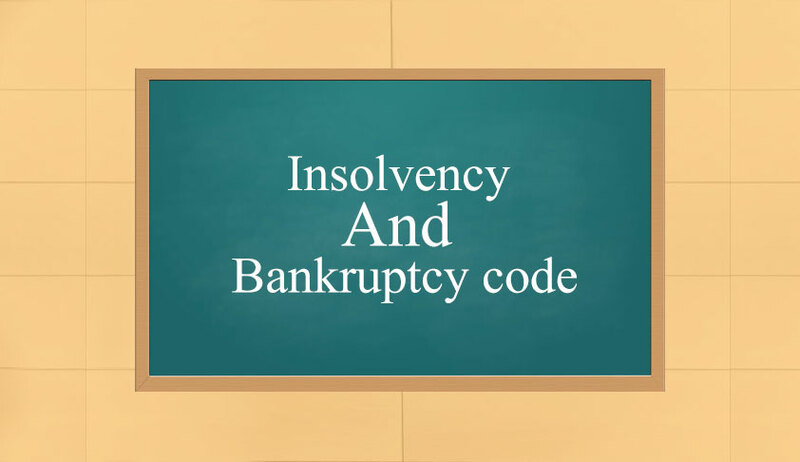 The Insolvency and Bankruptcy Code, 2016 (“Code”). The Code has been enacted to address and resolve the crisis of growing non-performing assets (“NPA”) plaguing India Inc. The Code provides for a corporate insolvency resolution process (“CIRP”). The CIRP begins with an application by the creditor or the corporate debtor on occurrence of a default, and eventually culminates into a resolution plan designed to restructure the debt. The Code stipulates a time period of 180 days for the completion of the CIRP, which if not completed within the prescribed time period, can trigger automatic liquidation of the corporate debtor. The Bankruptcy Law Reforms Committee (“Committee”), while recommending the enactment of the Code, in its report, also noted the need for having accurate and undisputed financial information regarding the insolvent corporate debtor before the commencement of the CIRP against it. The Committee was of the view that under the previous, highly fragmented insolvency framework, substantial time was spent collating and organizing financial information regarding defaulting corporate debtors. To save time, the Committee recommended establishing Information Utilities (IUs) in India. Conceptually, an IU is a company that is in charge of collecting, collating and disseminating financial information of corporate debtors. On March 31, 2017, the Indian insolvency and bankruptcy regulator i.e. The Insolvency and Bankruptcy Board of India (“Board”), enacted the Insolvency and Bankruptcy Board of India (Information Utilities) Regulations, 2017 (“IU Regulations”), which came into effect on April 1, 2017. Since IUs specifically collect, collate and disseminate financial information, the next question will address the concept of financial information as has been defined under the Code. Under sub-section (2) of Section 215 of the Code, financial creditors have been mandated to submit all financial information and information relating to the assets of any corporate debtor in which they have created a security interest. This information needs to be submitted to the IU in accordance with the IU Regulations. Simply put, financial creditor means a person to whom a financial debt is owed by the corporate debtor. This paves way for two questions - one, who is a “person” under the Code? Two, what is “financial debt”? The National Company Law Tribunal, in the matter of Nikhil Mehta & others v. AMR Infrastructures Ltd, discussed the concept of “financial debt” for the first time. In the Nikhil Mehta case, the tribunal rejected the application of alleged financial creditors for commencing the CIRP against the debtor, and held that the essential requirement for a debt to be considered a financial debt under the Code is that it has to be disbursed against consideration for time value of money. The court, while relying on the Black’s Law Dictionary for the definition of time value of money, further held that time value of money is the price associated with the length of time that an investor must wait until an investment matures or the related income is earned. Do foreign lenders need to comply with this RBI notification? “Financial creditor” includes a person to whom a financial debt is owed; including persons residing outside India. Therefore, prima facie, it can be concluded that even foreign lenders qualifying as financial creditors, are required to submit financial information to an IU in compliance with sub-section (2) of Section 215 of the Code. Does India have any information utilities? On September 25, 2017, the Board registered National E-Governance Services Limited (NeSL) as India’s first IU. As of today, India only has one IU i.e. NeSL. What are the core services that an information utility can provide? Providing access to information stored with it to authorized persons. How should one submit information to an IU? Details of terms of demand loan (if any). How should a person update or modify or rectify errors (if any) in the financial information submitted to an IU? Under sub-section (1) of §216 of the Code, an application to the IU needs to be made explaining the reasons for updating, modifying, or rectifying errors (if any) in the financial information, in such form and manner and within such time as may be specified. I feel very happy and humbled to inform you that I have penned a book on information utilities titled as “Handbook on Information Utilities” and you may refer to it if you want further clarity on IUs if you so desire. It includes a detailed explanation (along with legal references) of the applicable laws, procedure and compliances pertaining to information utilities. It includes key recommendations and findings in relation to information utilities from the final report of the Committee. It includes relevant extracts from the report of Working Group No. 4 (constituted by the Ministry of Corporate Affairs) on information utilities. It also includes the text of the relevant sections on IUs from the Code and the IU Regulations. Pranav Khatavkar is presently a candidate for Master of Laws (LL.M.) at Northwestern, Pritzker School of Law. His area of specialization is bankruptcy law.